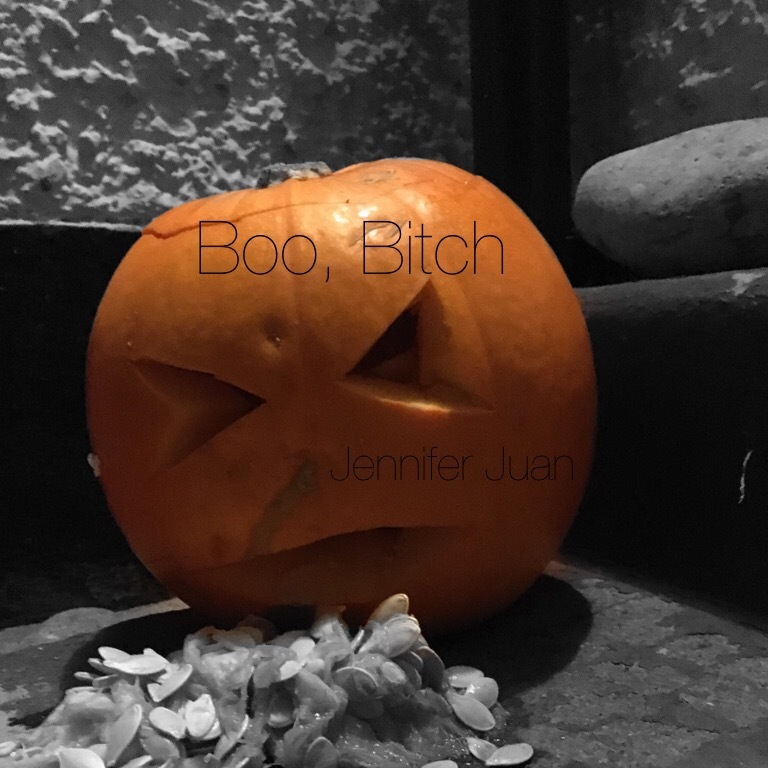 I have written a little something (and a little something more) for Halloween, so I hope you enjoy my spooky stories, and the rest of your Halloween! I hope your night is as sweet and wonderful as you… and a little bit weird, of course, as all the best nights are! Lewis mouthed the final word along with Rose, her sweet smile fading to black as the video ended. His daughter sat transfixed beside him, her hand feeling blindly for the mouse to select the next video. She, like every other young girl was obsessed with Rose and her videos. An entire generation of young women was transfixed, and while many parents couldn’t understand why, they did their best to accommodate their children’s love for the star. Lewis was prepared to go the extra mile, for his only child, Hannah. “Special meet up! Special meet up!” He smiled, watching his daughter bounce in the chair beside him, in sync with her chants of excitement. The day had finally arrived when his daughter would meet her idol. It had been months in the making, and many hours of careful planning and hard work for Lewis, but it didn’t bother him. How could it? He wanted only happiness for his daughter, and he knew Rose could understand that. “That’s right.” He stood from his chair, extending his hand to her. “And why do you get a special meet up?” He asked as she jumped down from the computer chair. “Because I’m her favourite.” He nodded, leading her towards the basement, and unable to suppress a smile as he looked down at her bright eyes, sparkling with excitement. He opened the door and could feel his daughter pulling at his sleeve, silently pleading for him to take her downstairs. He had teased her for weeks, warning that going to the basement would ruin her special surprise. Rose had replaced Santa in ensuring good behaviour from his child, but he had seen her, sneaking a look down the stairs of the basement, hoping to catch a glimpse of her idol, but just like Santa, Rose would only appear on one very special day, before vanishing from sight, and being nothing more than a dream. As they slowly descended the staircase, a small whimper could be heard, and while any normal child would be frightened, Hannah didn’t seem concerned. As they reached the floor of the dimly lit basement, an upturned water bowl at the foot of the stairs was the only thing visible, until Lewis reached up and switched on the light, and Rose, dishevelled and exhausted was finally visible. Rose wasn’t quite herself, she usually accessorised so well, but ropes around her wrists and ankles wasn’t quite the look she’d usually go for. As Hannah ran to her, screaming with excitement, Rose’s hoarse voice could barely be heard. Jamie had never been a petty person, or so she told herself, and she had gone through life accepting what fate gave her, without being too concerned about clawing back something she felt she was owed. She was humble, not feeling entitled to anything, until of course, she, like many people do, day after day and mistake after mistake, she fell for someone she shouldn’t have. She had never been petty, but she had always been shy, and as you can imagine, this can cause all kinds of problems for someone who is struggling to navigate through a busy college corridor. As Jamie was knocked to the ground, an almost daily occurrence that she had just about accepted, the group of students continued on, as if she hadn’t been there at all. She began to collect her books, and strewn glasses, when another pair of hands joined her own. It was a cliché, she knew that, and she cringed every time she recalled the moment, but for the first time, she felt welcoming to what fate had given her, instead of disgruntled indifference. She didn’t say a word to him as he helped her gather her possessions, and she couldn’t even push a thank you from her throat as he walked her to her dorm room. It had been embarrassing to simply point and nod, as if playing a ridiculously timed game of charades, but she was sure that if she opened her mouth in the presence of those piercing blue eyes (again, the girl loves a good cliché), that she would say something worthy of a restraining order. He told her his name was Bradley, and ever the mistress of her own bodily reactions, she sighed without meaning to, and almost slid down her own front door. Composing herself, she managed to tell him her own name, before he wished her well and sauntered down the staircase, and out of sight. They talked more and more, or rather he talked and she smiled, and nodded, while fantasising their future conversations, before the present had even finished. In her reality, they were deeply in love. The kissing, the touching, the actual public proclamation of their love for each other, that was all a formality, because for Jamie, he said it (prepare for another cliché) with his eyes. Unfortunately for Jamie, this was not the case at all. Bradley was a narcissist who enjoyed the sound of his own voice, and had finally found a quiet and appreciative audience for it. He didn’t view Jamie with any malice, of course, he was fond of her, even if it was just for the fact that she listened and responded positively to everything he said, which in Bradley’s eyes made her the very best a person could be, but he certainly wasn’t in love with her. However, Jamie had been raised on romantic films and poorly thought out advice pages from magazines, that told her that the second a man opens up and talks to you without hesitation, you ought to buy your mother a new hat, because you’ll be taking a trip down the aisle very soon. As previously mentioned, Bradley was not in love with Jamie, and Jamie had barely been able to talk in front of him, so had no way of telling him that she wished he was, and so Bradley thought nothing of confiding in his new friend about his girlfriend, and the dilemma of how he should proceed with valentine’s day. At first, Jamie was distracted by Bradley’s eyes, and his lips, and all sorts of things she had decided made him worthy of the alarming amount of clichés she used to describe him in her diary, but after a few moments, the gravity of his words, and the knowledge that another had already stolen the heart she had earmarked as her own came crashing through her fantasy, and left her again on the floor, with her books all over the place, and her glasses not only strewn out of reach, but crushed by the size twelves of fate. Self pity rose through her body and threaten to leak from her eyes any moment, and for the first time, she spoke without effort, quietly excusing herself, and running from his dorm room to hide in her own, with a tub of ice cream, and all of her regrettable diary entries. She poured over them for hours, unsure of how she could have misread the signs so badly. If she was being honest, she hadn’t really listened to Bradley all that much, so it was pretty easy to ignore that he had a girlfriend, and if she was to be even more honest, she wasn’t sure that she liked Bradley for anything other than the fact he acknowledged her existence and had been raised with enough decorum to help someone pick up their possessions if they dropped them. Politeness and general acknowledgement weren’t quite enough to build a marriage on, and if that had been everything, she would have happily settled the matter and learned from her mistake, but fate hadn’t quite finished with Jamie yet. She slept for a few hours, to try and rid herself of the tear induced headache, and awoke to a phone call from Bradley. At first, she thought about ignoring it, but while she didn’t listen to Bradley all that much, she enjoyed giving the illusion that she did, as it gave her someone to spend time with. They spoke, with her feeling free to for the first time, and when she was sure he was satisfied with the lie that she had left due to feeling unwell, as opposed to the truth, she agreed to meet with him ‪the next day and hung up the phone. She tried to sleep again that night, but couldn’t. She knew, deep down that Bradley wasn’t in love with her, and yet, the fact that he had called, the fact that he had worried enough to check on her after she left set her mind racing, as she imagined a scenario in which he was in love with her. She tossed and turned for hours, her heart saying that he could be feeling the same torment, and her head telling her to shut up and go to sleep. While she listened to her head and gave into sleep, she couldn’t resist dreaming of Bradley all night. When she awoke, she heard knocking at the door. Gathering herself together, and covering herself up as best she could, she approached the door of her dorm room and opened it slowly. “Jamie!” Bradley looked handsome, and Jamie wished she didn’t think so. She silently stood aside, allowing him in, and watched with a heavier heart than she would have liked as he sighed and fell down onto her bed, throwing his bag on the floor. “Oh Jamie, I need your help.” It was Jamie’s turn to sigh. She had awoken sure that her feelings for Bradley meant nothing, and that she could continue life as his echo chamber in exchange for having seats saved at lunch and someone to be with on lonely nights, but seeing him made her remember the concern in his voice as he called the night before, and left her clinging desperately to the idea he might in fact have deeply buried feelings for her, despite his girlfriend sitting atop his heart, swinging what Jamie was sure were long, tanned, beautiful legs. “My girlfriend is mad at me.” There it was. “She’s upset that we’ve been talking, and now she won’t speak to me.” Jamie tried to show concern, but an ugly part of her had surfaced, and enjoyed knowing that she could get at the ominous girlfriend, that she had grown to resent over the last twenty four hours. Jamie wouldn’t normally sink to this level, and preferred to get her kicks from high test scores, cat memes and pound a pint nights, but love, or at least very strong lust with a hint of bitterness had given her a new edge, and nothing could thrill her like the sadness of a perceived enemy. “I could talk to her, if you want.” Jamie said, her voice laced with sympathy as she sat on the bed next to Bradley, stroking his auburn curls. “I could tell her that she doesn’t need to worry.” Bradley beamed up at her. “I knew I could count on you.” He whispered, taking one of her hands in his own and kissing it gently. Jamie wished things could stay as they were, Bradley snuggled close to her, without a care in the world, however, life wasn’t always easy, and sometimes, it was just ridiculous. This was one of those ridiculous times. Jamie could barely believe when Bradley excitedly pulled his bag onto the bed and threw a spirit board in her direction, or when he babbled on about his dead girlfriend. The whole thing felt like a prank, but just in case it wasn’t, Jamie decided to go along with it. She realised that she had a great opportunity. She could simply tell Bradley that his “ghost” girlfriend was breaking up with him for good, and she would have him all to herself. It was a flawless plan, as far as she was concerned, and she couldn’t wait to get started. She had decided to take a nap first, but as she awoke, she wished she hadn’t. She had slept a lot longer than she intended, and was dripping in what she hoped was sweat. Her sleep was a mess of nightmares, all revolving around Bradley’s ominous girlfriend taking her revenge as Jamie took her man. She tried to convince herself that she didn’t believe what Bradley had told her, and that it was all just a game, but she felt compelled to apologise to the spirit, in the hopes of getting a good night’s sleep. She knew that she shouldn’t be alone, but Jamie didn’t have anyone else she could have invited along. Attempting to contact spirits wasn’t the top of the to do list for her small circle of friends, and so she tucked her hair behind her ear, did her best to fight past her nerves and took a deep breath, before opening her eyes. Everything was as she had left it before. The unlit candle on her left, a note pad and pencil on her right, and the spirit board, looming in front of her. She took another breath, looking around at the well lit room and trying to force herself to laugh at her own paranoia. She had yet to summon or approach anything, and even when she would later try, there was no promise that any of it would work. The panic must all be in her head, she decided, taking another breath, and shaking off another shudder that the room had taken against her will. She lit the candle, exactly as she had seen in the YouTube tutorial (they make those for EVERYTHING these days), and took another breath. “Is anyone here?” There was silence. Jamie kept her eyes focused on the spirit board, as the coolness of the room edged down her spine. With every second, she was convinced that the whole story had been a prank. Bradley seemed relatively well adjusted, so it was unlikely that he truly believed his ghost girlfriend was desperate for a heart to heart over candlelight. After what felt like hours, but was only in fact a few moments, Jamie finally laughed to herself, and blew out the candle. She would mark it up to experience, and forget about Bradley, and his alleged ghost girlfriend. She packed the spirit board in it’s box, and left it outside of Bradley’s room before heading to bed, and hoping she would dream of something a little less strange. She awoke early, when the darkness still lay outside, to see a single candle lit on her desk. She was positive that she had extinguished it before taking the board back to Bradley, but as she stood and examined the candle, she noticed the board was open on her desk. She tore her eyes from the scene, her body submerged in icy fear, and saw her door was still locked, as she had left it, and as she turned to the board, she couldn’t understand how it had appeared, unless of course, Bradley had been telling the truth, and a pissed off ghost wanted a conversation with her. She watched in silent horror as the board spelled out a single word. She fell into the waiting chair, despite desperately wanting to run, but unable to move an inch. She thought about praying but she wouldn’t even know how to explain this situation, or what kind of help to ask for. Her eyes followed the planchette as it continued to move. She nodded, unable to say a word, and hoped the spirit understood that she had won. No man was worth this, at all. As she tried to find the strength to speak, she could see the spirit continue, and after taking a few seconds to figure out the words she was spelling out, she wished that she hadn’t. There was a knock at the door, but she didn’t dare move. The candle flickered as the planchette continued across the board, and while she recognised Bradley’s voice from the other side of the door, his words didn’t register in her mind, as it was too full of the spirit, and what she had to say. HE WILL KILL YOU LIKE HE KILLED ME.